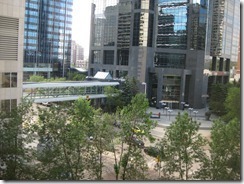 I stayed in Westin Calgary in connection with a work trip there in June 2012. I chose this hotel as the location was very good and it was possible to walk to where I was going to work within minutes. I travel a bit for work and pleasure and I have stayed at various 4 and 5 star hotels around the world just to give you an idea about the background for this review. 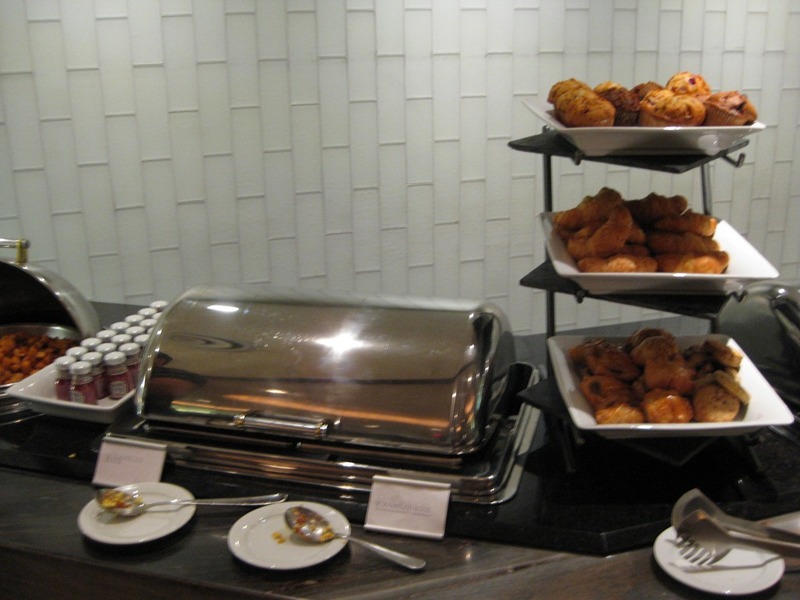 I do admit that I have been a bit spoiled by staying at some very nice hotels in Asia and due to this I do have high expectations when I stay at nice hotel chains like Westin. I booked the hotel through t a travel agency in Norway. The taxi from the airport to the hotel was about 35 Canadian dollar (about 35 USD these days) and on a Sunday afternoon it only took 15 minutes. 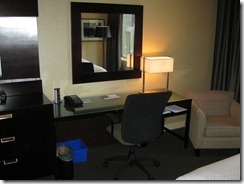 Check in was fast and I got room 551 – to my surprise the internet was included in my business room rate which is great. 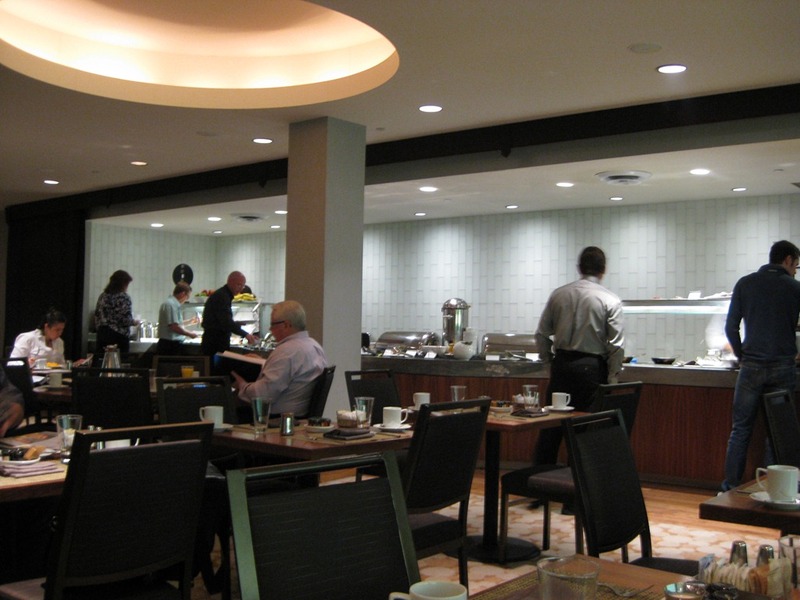 I was also offered more Starwood points if I could do without room service during my stay and I think this is a great idea. The internet worked pretty good and when logged in I did not have to log in again every time I got back to the hotel – excellent! I was also able to log in with several devices which is also great. 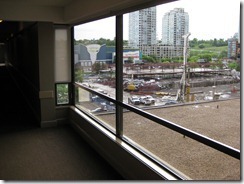 The room I got was located on the 5th floor and from the hall there was a view out on a huge construction area. I think they are putting up a large building here so it might create some noise for the next few years. The rooms at Westin are refurbished recently but I have to admit that my first thought when I walked in was that it was a bit outdated. The carpet was dark brown while the curtains where dark greenish in color. Due to this the whole room seemed a bit on the dark side. The lighting in the room was not very modern either as there were no master control for the lighting – each of the lamps had to be switched on individually. The walls in the room were covered in a mustard colored wall paper and there where dark furniture. The flat screen TV was mounted on the wall and it was possible to pull it out to face it towards the chair in the room and that is a great feature. Under the TV was a rather big dark furniture of drawers and a cupboard. It was totally empty so I guess it at least provides space if you unpack your entire suitcase. 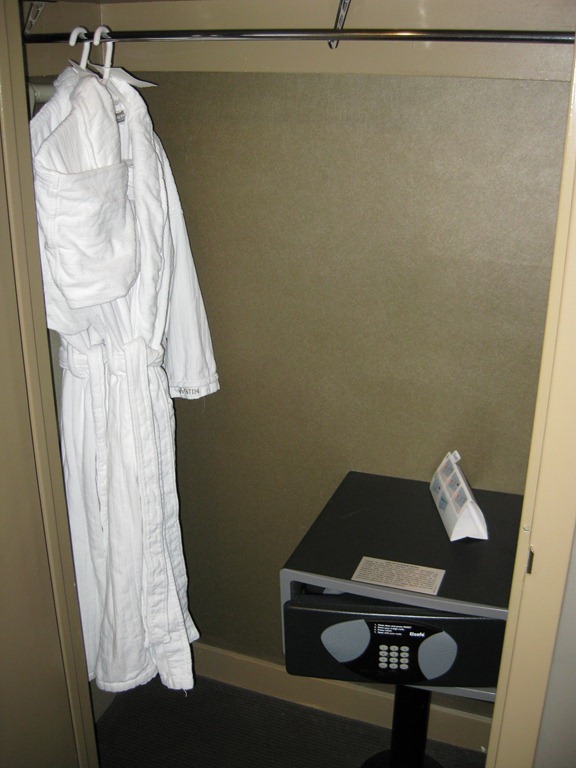 In many other hotels this normally contains the mini bar and the amenities that you need in connection with that. 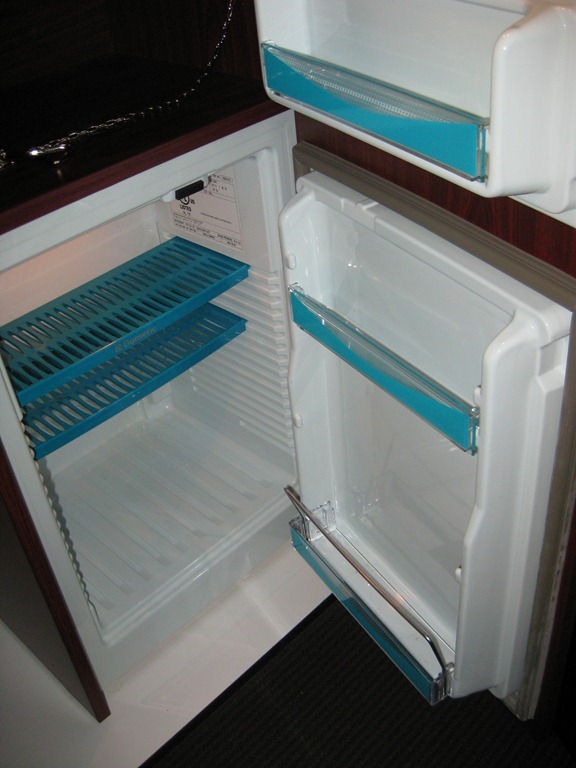 The mini fridge was located by the entrance in the room and it was totally empty which seems a bit weird but maybe that figured that they don’t sell anything anyway as prices are normally too high compared to prices on street level. But at least there were two wine glasses and two regular glasses and a bucket for ice (there was an ice machine on the floor). 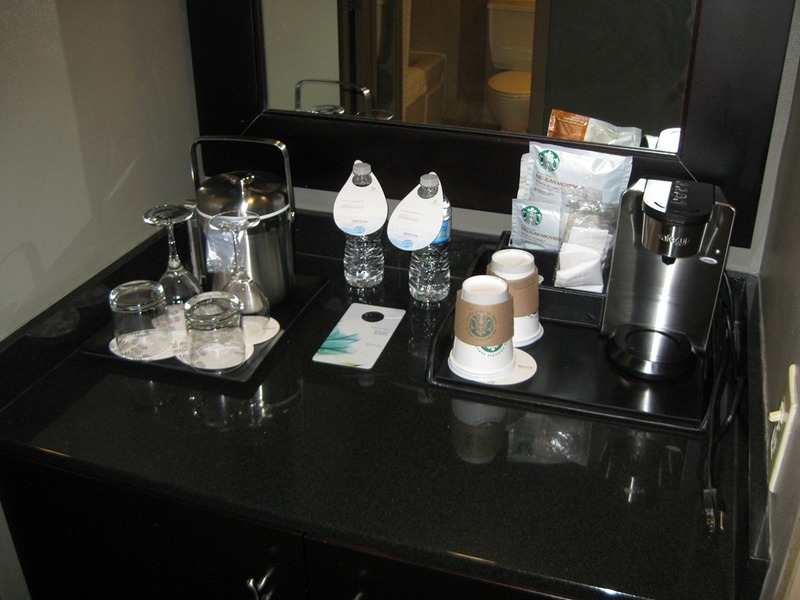 There was also a coffee maker but there is a Starbucks in the lobby so there are also other options for coffee. The wardrobe included quite a few hangers, two robes, iron and ironing board and a small safe – but no slippers. The desk had a pop up plug stand but it did not have international sockets – but luckily I could borrow a plug adapter from the reception. 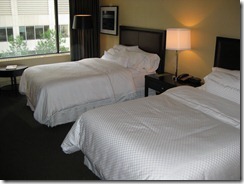 There were two queen sized beds in the room and the bed was quite comfortable. 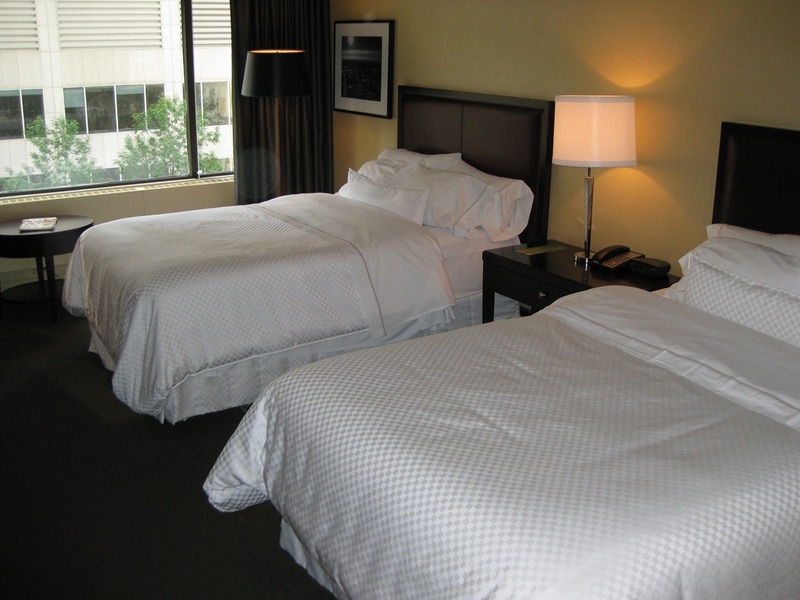 But I’m not sure I understand the lack of a proper bed linen around the duvet – instead the duvet is just placed between two sheets – not a very good system for the guests in my opinion. 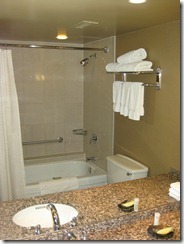 The bathroom was partially tiled and included a bathtub with a shower option. The shower curtain was on a curved bar so at least it didn’t stick to me while I was showering. But it did splash a bit on the floor anyway as it was hard to control the water pressure in the shower. 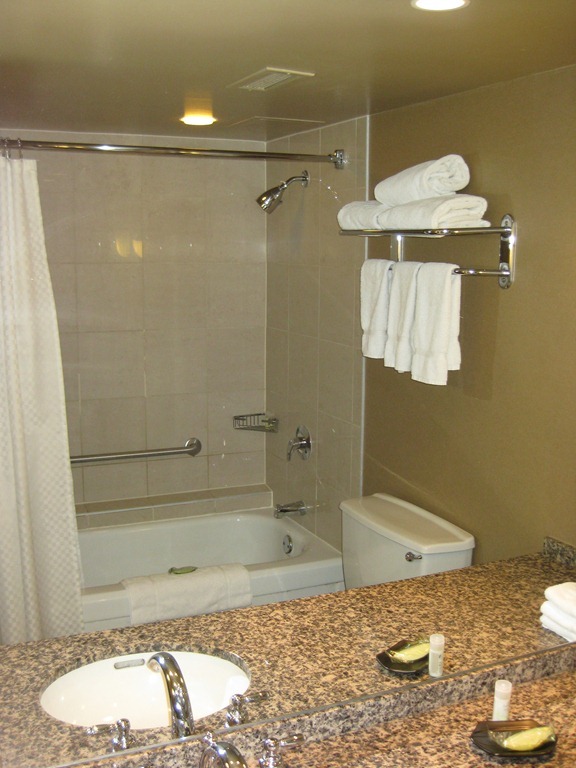 I was very disappointed by the amenities as there was only shampoo, conditioner and a bar of soap – but then again I’m not a big fan of the Westin products. I did get a few more amenities after a couple of days at the hotel e.g. mouth wash. 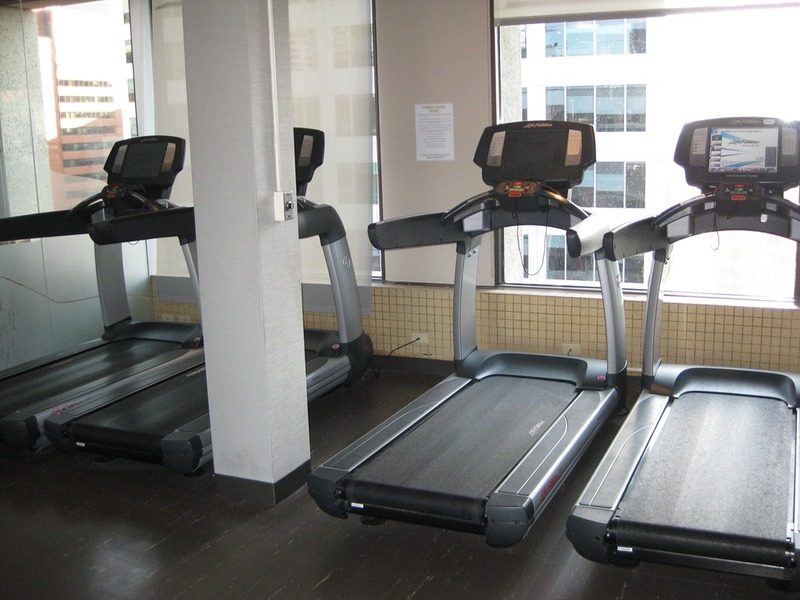 There was a bit of noise in the room – the aircon was not very quiet kind even when running it on low. The traffic on the outside also created a bit of noise but luckily there is not that much traffic at night so it was not a huge problem. I was also in a room close to the elevators and that is never a good idea as you get quite a bit of noise when the lifts go up and down. 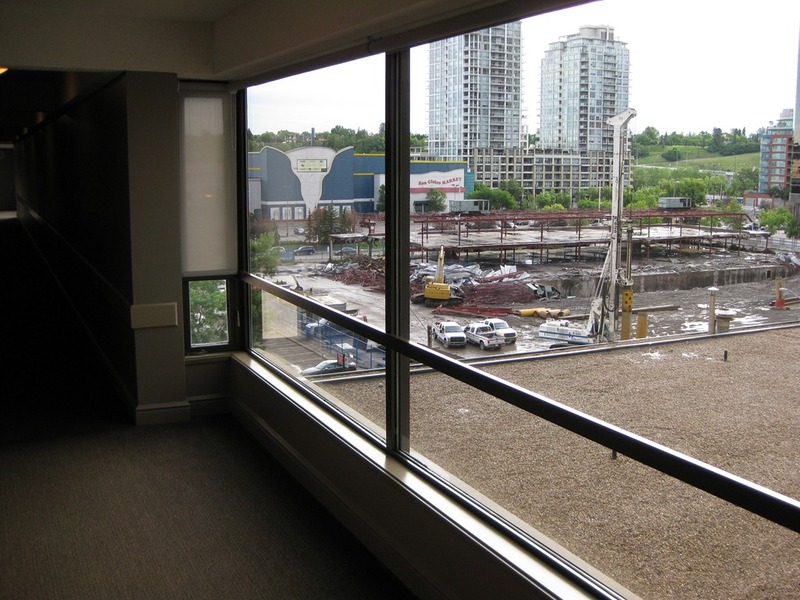 The location of the hotel is good for work as it is located close to many of the main office buildings in downtown Calgary. 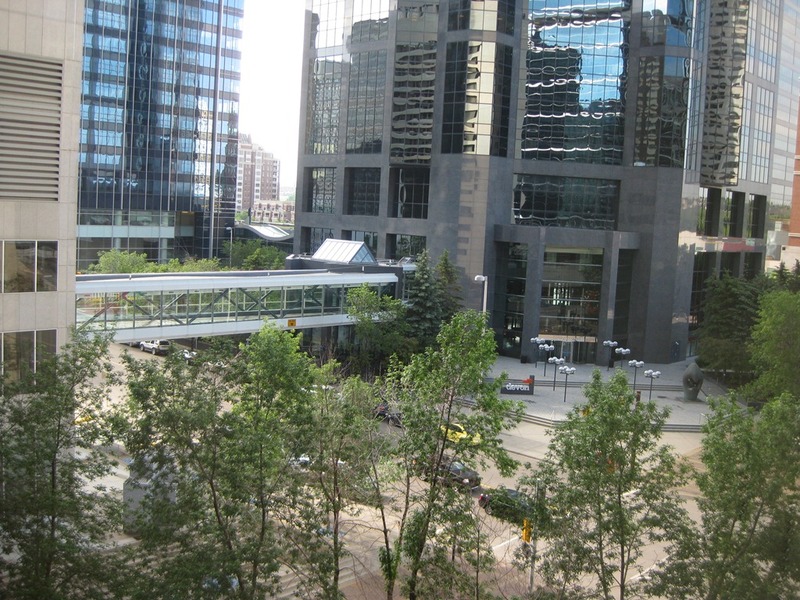 There is also direct access to Calgary +15 from Westin which is great – the +15 is the skybridge system that connects many of the building together in the downtown area. Note that the downtown area is pretty dead after like 6 pm as most shops and food courts close about this time so just finding a 7Eleven around the hotel was tricky. 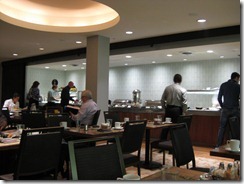 Breakfast at the hotel is served at Essence restaurant and it had a pretty decent selection of food. 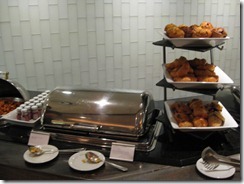 I enjoyed the cereal on offer but they also had an egg station and a selection of bacon, sausages etc. 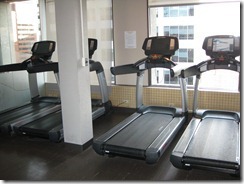 The pool and gym is located at the 20th floor but the gym was smaller than I had expected. But if you want to go jogging you can easily walk over to Prince’s Island to go jogging there. 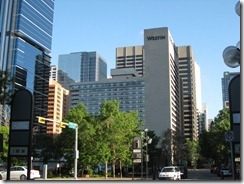 The Westin Calgary had a great location for me as I was basically working next door. But I was not that crazy about the room itself. There was quite a bit of noise from the lifts next to the room and the room was a bit on the dark side and not very cozy. But thanks for providing me with free wifi and complimentary drinking water. 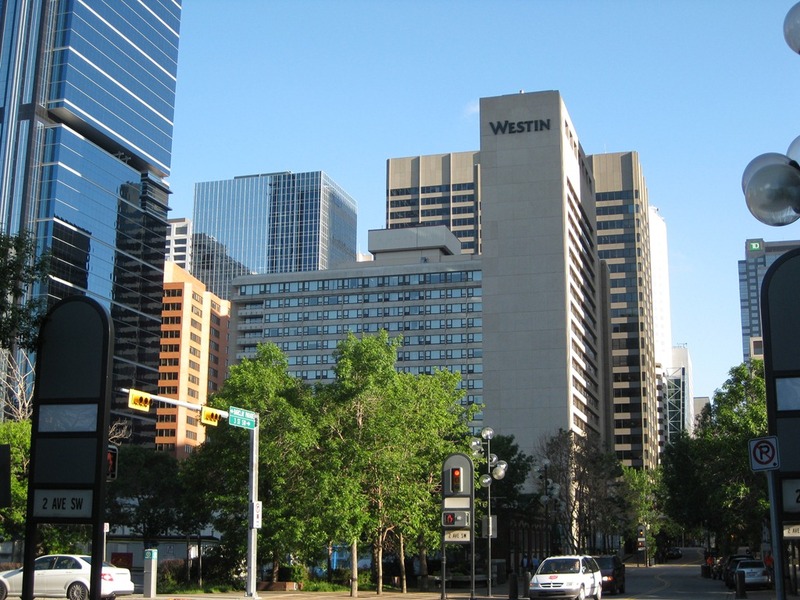 I don’t have experience with other hotels in Calgary so it is hard to compare how Westin is to other hotels – so if I go there again I might try a different hotel.